OSWEGO was formed in Washington, D.C. in 1999 by Erik Denno (Kerosene 454), Darren Zentek (Donora, Glendale, Kerosene 454), Chris Turco (Kukim), and Mike Markarian (Vita Bruno), and was later joined by Ryan Nelson (Most Secret Method) and Vin Novara (1.6 Band, Crownhate Ruin). They played shows around the D.C./Baltimore area from 1999 to 2001, at venues such as Galaxy Hut, Black Cat, Fort Reno, Velvet Lounge, and Ottobar, with bands such as Burning Airlines, Dismemberment Plan, Victory at Sea, and Juno. 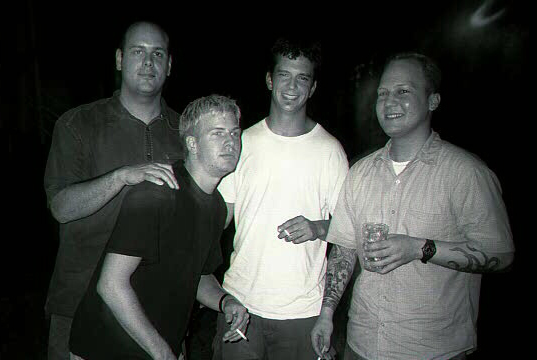 The group recorded with producer J. Robbins in 2000 at Inner Ear Studio in Arlington, Virginia, and Salad Days Studio in Washington, D.C. The songs were released on the Spanish label Bcore Disc as the Just Getting Warmed Up EP in 2000, and an eponymous full-length CD in 2002. After OSWEGO disbanded, members of the group went on to play with other musical projects, principally around D.C., Baltimore, and New York, such as Report Suspicious Activity, Channels, Brandon Butler, Rancho Notorious, Dead Teenagers, The Perfect Souvenir, Trans Am, Pines of Nowhere, Scene Creamers, Beauty Pill, Routineers, and Soccer Team.